COLLEGE STATION, TEXAS (October 29, 2008) No. 2 seed Bruno Rosa of the Rice men’s tennis team lost a hard-fought 4-6, 6-1, 7-5 battle against No. 3 Conor Pollack of Texas A&M Tuesday at the ITA South Central Regionals from the George P. Mitchell Tennis Center on the Texas A&M campus. Rosa grabbed an early break and held on for a 6-4 win in the opening set. Pollack regrouped and evened the match by claiming the second set 6-1. Rosa fired back and charged out to a 4-1 advantage in the third set. The Brazilian had a couple of opportunities to secure a double break before Pollack held and reeled off six of the final eight games for the 7-5 win. Rice heads to Austin this weekend for the Texas Fall Invitational. IRVING, TEXAS (October 28, 2008) Led by SMU, who hosted a dual meet against Pac-10 opponent Arizona State, four Conference USA swimming and diving teams saw action in the water over the weekend. SMU defeated Arizona State, 119-78, before competing in the two-day SMU Classic where they tied for second with North Carolina, totaling 301 points. Marshall improved to 3-2 on the season after defeating Youngstown State, while Rice took part in a hard-fought battle but fell to Oregon State, 181-136. Houston was the only C-USA team who didn’t compete, but will travel to Michigan this weekend to take on Michigan State and Oakland in back-to-back duals. All-American Candace Blackman of SMU and freshman Katie Yamamoto of East Carolina have been named Conference USA Swimmer and Diver of the week for the period ending Oct. 27. Blackman took part in the SMU Women’s Swimming Classic and collected a total of seven first-place accolades, including a new meet and pool record in the 200-free relay that was also good for an NCAA qualifying time. Yamamoto posted her top one-meter and three-meter scores of the season against Georgetown on Friday to win both events and then won the three-meter dive at Towson on Saturday. Blackman took part in SMU’s Women’s Swimming Classic and also participated in a dual meet against Arizona State. Against the Sun Devils, Blackman took three first-place honors. She helped the 400-free relay team touch the wall first in 3:24.14 and also took individual wins in the 100-free (50.65) and 200-free (1:48.78). During the two-day SMU classic, Blackman competed on three of SMU’s relay teams and helped two of them to first-place finishes. In the 800-free relay, SMU pulled off the win, with Blackman edging out USC for the title, touching the wall in 7:21.08. The All-American swimmer also took first in the 200-free relay that set new meet and pool records and also achieved an NCAA qualifying time by finishing in 1:47.83. Blackman’s last relay of the day was in the 400-free relay (3:22.79) that took second-place to a USC team that broke meet and pool records. Blackman finished the SMU Classic with a pair of individual first-place honors including a win in the 50-free (23.31) and 100-free (50.26). This is Blackman’s second career weekly honor and first of the 2008-09 season. Yamamoto posted her top one-meter and three-meter scores of the season against Georgetown on Friday. Yamamoto scored a 249.75 in the one-meter dive and then notched a 261.82 in the three-meter to win both events against the Hoyas. She followed that performance with a 246.83 in the three-meter dive against Towson to win the event. This is Yamamoto’s first weekly honor. Duncan recorded a pair of first-place finishes in the 100-yard butterfly in dual meets against Georgetown and Towson. The victories pushed her record to 4-0 in dual meet competition in the 100-yard butterfly this season. Against the Hoyas, Duncan set three pool records including an individual record in the 100-yard butterfly (56.62). She also set records as a member of both the 200 medley (1:50.04) and 200 freestyle relay teams (1:38.11). Wheatley won the 200 IM in a time of 2:15.46 and finished second in the 200-yard breaststroke with a 2:31.58. Schuurman took first-place in the three-meter and one-meter diving events with scores of 243.38 and 244.95 respectively. Warner swept both distance races in the Owl’s two-day double-dual meet against Oregon State. Warner won the 1,000-freestlye with a season-best time of 10:23.3, then swam a 5:06.12 to win the 500-free. COLLEGE STATION, TEXAS (October 27, 2008) No. 2 seed Bruno Rosa notched two more impressive victories and secured a spot in the championship match Monday at the ITA South Central Regionals from the George P. Mitchell Tennis Center on the Texas A&M campus. Rosa dispatched of Texas A&M’s Austin Krajicek 7-5, 6-1 in the quarterfinals before knocking off Texas Tech’s Raony Carvalho 6-4, 6-2 during the semis. The victories allowed Rosa to secure a spot at the ITA National Intercollegiate Indoor Championships in Charlottsville, Va. from November 6-9. The Brazilian squares off with Texas A&M’s Conor Pollack Tuesday at 11:30am in the championship match. The two met at Jake Hess Stadium last April and Rosa emerged with a 6-3, 6-2 triumph as the Owls defeated the Aggies, 4-3. Christoph Müller battled Texas A&M’s Wil Spencer in the quarterfinals before losing a hard-fought 7-6 (5), 7-5 decision. Sam Garfoth-Bles won the consolation bracket by picking up a pair of victories in super tiebreakers over opponents from Baylor and Texas Tech, respectively. HOUSTON, TEXAS (October 26, 2008) The University of Houston soccer team fell 1-0 at Conference USA rival Colorado College on Sunday, bringing an end to the team’s postseason hopes. With the loss, Houston (6-10-1, 2-7-1 C-USA) was officially eliminated from contention for one of the eight slots in the annual C-USA Championship. Entering Sunday’s match after a thrilling 3-2 overtime win over UTEP at home, the Cougars outshot the Tigers in the second half 8-4 but just could not find the back of the net. Senior captain Shelby Scott recorded eight saves, but Colorado College’s early score was too much for UH to overcome. Tiffany Brown scored the game’s only goal in the 7th minute, netting her ninth of the season and recording her third game-winner. Senior Christine Nieva led the Cougars with three shots off the bench, while sophomore Lauri Byrne, freshman Jessica Zavalza and senior Meagan Kiphart each ripped a pair of shots in the contest. The Cougars return to action when they host crosstown- and C-USA-rival Rice at 7 p.m., Friday, as Houston closes out its 2008 campaign in the season finale. COLLEGE STATION, TEXAS (October 25, 2008) The Rice men’s tennis team raced out to a strong start Saturday at the Wilson/ITA South Central Regional Championships from the George P. Mitchell Tennis Center on the Texas A&M campus. Dennis Polyakov, Isamu Tachibana and Christian Saravia joined No. 2 seed Bruno Rosa and No. 5 seed Christoph Müller in the Round of 32 of the main singles draw. Everyone except Rosa had to go the distance and win hard-fought three-set decisions in the Round of 64. Polyakov took down SMU’s Darren Walsh 6-4, 3-6, 6-3, while Müller reeled off a 6-1, 0-6, 6-1 triumph over Texas Tech’s Gonzalo Escobar. Saravia turned the tables on TCU’s Ethan Horn 4-6, 6-4, 6-2 and Tachibana outlasted Texas Tech’s David Gonzalez 6-7, 7-5, 6-1. Andy Wang and Sam Garfoth-Bles rebounded to notch consolation victories. In doubles action, pairs Müller and Garfoth-Bles along with Rosa and Tobias Scheil punched their tickets to the Round of 16 highlighted by a 9-8 (4) second round win by Rosa and Scheil over a pair from Texas Tech. There are two rounds of singles and doubles slated for Sunday. FORT WORTH (October 24, 2008) The Rice women’s tennis team turned in an impressive effort by winning seven of its nine matches Thursday to open the Wilson/ITA Southwest Regional Championships at the Bayard H. Freidman Tennis Center on the TCU campus. Seeds Varsha Shiva-Shankar and Alex Rasch won a pair of singles matches in qualifying. The duo will have a chance to qualify for the main singles draw Friday at 9am. No. 14 seed Rasch reeled off a 6-1, 6-7, 6-2 victory against UTSA’s Holly Phillips. She rolled to a 6-1, 6-0 win over Northwestern State’s Daniela Posada in the second round. No. 16 seed Shiva-Shankar took down Texas State’s Saskia Kruse 6-1, 6-4 and emerged with a 6-2, 7-5 triumph over Northwestern State’s Bianca Schultz in round two. Emily Braid regrouped after losing the first set 6-0 to SMU’s Casey Kennedy. The North Carolina native recorded a gritty 0-6, 6-4, 6-4 decision. She lost to No. 7 seed Narine Kazarova of North Texas 6-1, 6-1 in the second round. Rice notched a 2-1 mark in doubles play. Julie Chao and Ana Guzman along with Shiva-Shankar and Braid each tallied tight 8-6 victories defeating Texas Tech’s Kerryn Potgieter and Simone Templeton and No. 15 Sarah Lancaster and Maggie Mello of Texas. Rebecca Lin and Rasch battled before falling 8-5 against No. 11 seed Amanda Craddock and Krista Damico of Texas. Qualifying singles starts day two before the Round of 32 doubles action. Day two wraps up as Chao, Guzman and Lin open singles play in the main draw. HOUSTON, TEXAS (October 23, 2008) The University of Houston soccer team returns home after a four-game road trip, as the Cougars host Conference USA foe UTEP at 5 p.m., Friday at Robertson Stadium. Houston (5-9-1, 1-6-1 C-USA) needs to win its three remaining games to try and secure a spot in the C-USA Championship tournament. The team has battled injuries all season, and head coach Susan Bush believes that is a contributing factor in the Cougars’ precarious position as they enter the final two-game weekend of the season. The Cougars return home after splitting a pair of weekend games on the road against C-USA opponents Southern Miss and UCF. Junior midfielder Katlin Thulin scored the game winning goal in a 1-0 shutout of Southern Miss last Friday in Hattiesburg, Miss. It was the first career goal as a Cougar for Thulin, who transferred to UH this summer. UH trails the all-time series against the Miners, posting a 1-4 record. UTEP is 2-0 in the unfriendly confines of Robertson Stadium. Fans also can follow live stats via the Internet by clicking the GameTracker link on the soccer team’s schedule page. Following Friday’s match, the Cougars will go on their final road trip to play against Colorado College at noon, Sunday before returning home for the season finale against cross-town rival Rice on Halloween. the entire Mustang coaching staff and college football coaches acrossthe country will join to fight one opponent - Duchenne MuscularDystrophy. By wearing an arm band with the Coach to Cure MD insignia,coaches will show their support for Coach to Cure MD, the AmericanFootball Coaches Association's (AFCA) newest charitable project. "College football is a team game and all of us in the coachingprofession are asking football fans to help us defeat the DuchenneMuscular Dystrophy," said Grant Teaff, Executive Director of theAmerican Football Coaches Association. Football fans will be able to donate to muscular dystrophy researcheither online at CoachToCureMD.org or by texting the word "CURE" to90999 to automatically donate $5 from their mobile phones. Duchenne Muscular Dystrophy is the most common fatal genetic disorderdiagnosed during childhood. Because the Duchenne gene is found on theX-chromosome, it primarily affects boys and occurs across all races andcultures. Boys and young men with Duchenne lack dystrophin, a protein critical tothe structural stability of muscle fibers. Patients develop progressivemuscle weakness that eventually causes loss of mobility, wheelchairdependency and a decline in respiratory and cardiac function. Currently,there is no cure for Duchenne and limited therapeutic options exist. The AFCA is joining with the Parent Project for Muscular Dystrophy(PPMD)to make Coach to Cure MD a reality and generate support forresearch using the nationwide, one-day, game-day event. "College football coaches are dedicated to the betterment of young menand defeating Duchenne Muscular Dystrophy fits with our mission," Teaffsaid. "By focusing the eyes of the entire football world on MD for onecollege game day, we can raise awareness and funds for life-savingresearch and support the core academic missions of universities andcolleges." "We take a comprehensive approach in the fight against Duchenne--fundingresearch, raising awareness, promoting advocacy, connecting thecommunity, and broadening treatment options," said Pat Furlong, foundingpresident and CEO of PPMD. "This project is totally aligned with ourgoals and we are excited about the Coach to Cure and the opportunitiesit presents." IRVING, TEXAS (October 21, 2008) Conference USA women’s swimming teams are excelling both in the water and in the classroom. According to CollegeSwimming.com, the nation produced 91 women who received individual Academic All-American honors by achieving a GPA of 3.500 or higher and qualifying for the NCAA Championships. Twenty-four women scored a perfect 4.000 grade point average. Texas A&M had three 4.0’s while George Mason, Minnesota and SMU had two each. The Rice women ranked 27th among the nation’s top 100 team GPA’s possessing a 3.360. Following behind the Owl’s are in-state rival SMU at No. 32 with a 3.320 GPA. Combined with their men’s team, SMU has the 10th highest GPA among combined programs with a 3.290. In the latest CollegeSwimming.com Top 25 polls, SMU women rank No. 12. SMU women’s swimming and diving will meet head to head with five of the Top 25 ranked teams in No. 2 Georgia, No. 7 Texas, No. 9 Texas A&M, No. 19 Penn State and No. 20 Arizona State throughout the season. East Carolina senior Amanda Duncan and Marshall freshman Liz Greenway share this week’s Conference USA Swimmer of the Week honor for the period ending Oct. 20. Duncan helped lead the Pirates to a 176-113 win over Davidson to improve to 4-0 in dual meets this season. Greenway had top times in three events to lead Marshall to a 185-79 victory over Radford in her second collegiate meet. Marshall senior Siobhan Schuurman is the Diver of the Week. Schuurman set a new personal collegiate best in the three-meter event and has swept both diving events in each of the Herd’s meets this season. For the second straight meet, Duncan had top finishes in the 100 and 200-butterfly for the Pirates, helping them to a 4-0 record in dual meets this season. Against Davidson, Duncan earned a pair of first-place finishes after clocking a time of 56.00 in the 100-butterfly and 2:04.31 in the 200-butterfly. This is Duncan’s second career weekly C-USA swimming honor and first of the season. In her second collegiate meet, Greenway won the 100, 500, and 1000-yard freestyle events to help lead Marshall to a 185-79 victory over Radford. The freshman swimmer clocked times of in 55.65 in the 100, 5:17.49 in the 500 and 10:43.91 in the 1000-yard freestyle. In addition to her first place honors, Greenway helped the 200 freestyle relay team to a second place finish. This is Greenway’s first weekly honor. Schuurman won both the one-meter and three-meter events with scores of 248.18 in both events, respectively. The senior diver set a new collegiate-best in the three-meter event, bettering her previous mark of 246.45. Schuurman holds the school record in the one-meter and platform dives at Marshall and has swept every diving event of the season she has competed in. This is Schuurman’s second career weekly C-USA diving honor and first of the season. ORLANDO, FLORIDA (October 20, 2008)The University of Houston soccer team fell 6-0 to Conference USA-rival UCF on Sunday, closing out a four-game road trip in Orlando, Fla.
Houston (5-9-1, 1-6-1 C-USA) wrapped up its second-straight two-game, road weekend with a 1-1 split. Sophomore Islara Rodriguez paced the Cougars with five shots in the contest, while fellow sophomore Lauri Byrne ripped a pair of shots. Senior goalkeeper Shelby Scott tied her season high in saves with 11, but the Knights’ offensive barrage was too much to overcome. UCF outshot the Cougars 29-12, led 4-0 at the half and added a pair of second half goals for the final margin. Brianna Schooley scored a pair of goals and assisted on two others to lead the Knights, while teammate Yvonne George also found the back of the net twice against UH. The Cougars return home to face UTEP at 7 p.m., Friday, at Robertson Stadium before heading back on the road to face Colorado College on Sunday. HOUSTON, TEXAS (October 19, 2008) Rebecca Lin, Emily Braid and Varsha Shiva-Shankar each won their singles flights as the Rice women’s tennis team concluded play Sunday at the Holiday Inn Astrodome Rice Classic. The event was being held at Jake Hess Stadium on the Rice campus. “Overall, I was pleased with how we competed all weekend,” head coach Elizabeth Schmidt said. “We definitely took a major step forward from where we are at the end of this weekend as compared where we were at the end of last weekend. I was proud for Rebecca, Emily and Varsha to win their respective flights.” Lin upended Houston’s Joanna Kacprzyk in a hard-fought 7-5, 6-3 decision in Flight 4, while Shiva-Shankar turned in another dominant performance picking up a 6-1, 6-1 victory over Samford’s Stephanie Parkison. Shiva-Shankar lost only a combined eight games over her three wins in Flight 6. Emily Braid tallied a 6-2, 6-1 win over North Texas’ Shannon Mackenzie 6-2, 6-1 in Flight 7. Julie Chao’s bid for a Flight 1 singles championship fell short 6-1, 6-3 to Lee College’s Ana Veselinovic. In consolation action, Alex Rasch and Rebekka Hänle notched straight set victories in Flights 3 and 5, respectively. Ana Guzman lost a tight 6-3, 6-7 (5), 1-0 (3) decision to SMU’s Nicole Briceno in Flight 2. The Owls return to action at the ITA Southwest Regional Championships hosted by TCU. The event runs from October 23-27. HOUSTON, TEXAS (October 18, 2008) Despite holding Jackson State to three field goals in the 1st half, Texas Southern was unable to convert their defensive success to offensive points as they lost a hard fought game to Jackson State 30-14 on Saturday night at Houston ISD’s Delmar Stadium. Jackson State’s Luter Edwards led the charge for the Tigers, rushing for 113 yards and town touchdown, while quarterback Trae Rutland was 11-12 passing for 180 yard and two touchdowns. Rutland also rushed for 67 yards on 10 carries. Texas Southern quarterback and Oklahoma State transfer Bobby Ried was injured when he was sacked by JSU tackle Dennis Coit. Ried suffered a bruised knee and did not return to the game. Jackson State built a 16-7 halftime lead. TSU was unable to overcome JSU strong running game and solid defense, falling to 3-5 for the season and 0-3 in Southwestern Athletic Conference standings. TSU held the lead 7-3 after the first quarter, but JSU came back with 20 unanswered points before TSU could find the end zone again. They finally scored their second touchdown in the closing seconds of the 3rd quarter when wide receiver Brian Haith caught a 16 yard pass from backup quarterback Cornelius Harmon. Robert Hersh’s conversion was good to take the score to 23-14. Jackson State again scored with 8:55 left in the game to finish all scoring. Jackson State moves to 3-4 for the season and 2-1 in SWAC action. The next game on tap for TSU is against Mississippi Valley State while TSU faces Alcorn State on the road. Both games are scheduled for October 25. HATTIESBURG, MISSISSIPPI (October 18, 2008) Junior Kaitlin Thulin netted her first career goal as a Cougar, leading the University of Houston soccer team to a thrilling 1-0 win over Conference USA-rival Southern Miss on Friday in Hattiesburg, Miss. Thulin put the Cougars on the scoreboard early, finding the back of the net in the 7th minute on a blast six yards from the goal passed Golden Eagle netminder Holly Cox. Houston (5-8-1, 1-5-1 C-USA) snapped a three-game losing streak, leading wire-to-wire to improve to 8-0-2 all-time against Southern Miss. Senior captain Shelby Scott posted her fifth shutout of the season, notching five saves. Scott has allowed only 13 goals in more than 1200 minutes this season for a 0.97 goals against average, which ranks among the conference leaders. After scoring the early goal, Houston was able to play a possession game, keeping the Golden Eagles opportunities to a minimum. Scott and the Houston backline were able to defuse each good chance Southern Miss created to maintain the one goal margin. Sophomore Islara Rodriguez and junior Nikki Echeverria each ripped three shots to lead the Cougars, who were outshot 19-12 in the contest. With only four conference games left on the schedule, the Cougars look to continue to climb up the C-USA standings to qualify for one of the eight spots in the Conference USA Championship. Houston returns to action at 12 p.m. (CDT), Sunday, when the Cougars take on conference foe UCF in Orlando, Fla.
HOUSTON, TEXAS (October 18, 2008) Led by a season-best 26 kills from senior outside hitter Justine Farmer, the University of Houston volleyball team posted an impressive five-set victory Friday night over UCF (23-25, 25-20, 21-25, 26-24 and 15-10) at Athletics/Alumni Center. The win improves the Cougars’ overall record this season to 12-8 and 4-3 in Conference USA action, while UCF falls to 13-8 on the year and 5-3 in league play. In addition to the big match from Farmer, the Cougars got 14 kills from freshman outside hitter Ingrida Zauere and 13 from sophomore middle blocker Lucy Charuk. Blocking was a big reason for UH’s success as the team racked up a season-high 20 blocks on the night, led by Charuk, who piled up 12 block assists. Cougar setter Kelsey King added 60 assists. In the early portion of the match, UH was able to build a 16-11 first set advantage. The Knights, however, took nine of the next 14 points to pull within one point at 21-20. The Cougars added two straight points to force a UCF timeout with the home squad leading 23-20. After the break it was the Knights who responded, reeling off five consecutive points to take the opening stanza, 25-23. The Cougars jumped out 11-1 advantage in set two on their way to a 25-20 win before dropping a 25-21 decision in the third set. During the fourth set, UH was forced to rally from down 17-12 before eventually taking the set 26-24 to send the match to the final and deciding stanza. In set five, Charuk let the way with four kills and the Cougars got a pair of block assists from Kinsey Cave and Erin Rice to secure the overall match victory. UH is back in action on Saturday night when it host Southern Miss in a 7 p.m. match at the Athletics/Alumni Center. UNIVERSITY PARK, PENNSYLVANIA (October 17, 2008) The Rice Owls men's cross country squad placed 16th in the 28-team field at the Penn State National in University Park, Pa. The Owls totaled 439 points in the event won by No. 8 Georgetown with 43 points. The Hoyas had three runners complete the 5.2 mile course in the top 10. Penn State was second with 93 points and Villanova was third at 126. Aaron Robson was Rice's top finisher by placing 68th with a time of 26:32, while Simon Bucknell was 84th (26.41) and Brad Morris placed 91st (26:52). The Owl now prepare for the Conference USA championship held at Memphis on Nov. 1. HOUSTON, TEXAS (October 16, 2008) The Rice Owls mens' cross country team, ranked 11th in the South Central Region, competes this Friday at the Penn State National (5.2 miles) at 9 a.m. (Central). This year's Penn State National will be a battle of many of the top tier programs in the Mid-Atlantic Region. Georgetown enters as the favorite for the team title, boasting a No. 8 ranking and several top individual talents, including Andrew Bumbalough, an All-America finisher in 2007, who led the Hoyas to 13th-place finish at the NCAA Championships. Also making their way to Happy Valley will be the Wildcats of Villanova, a perennial power on the East Coast as well as the nation's 28th-ranked team. The meet will also welcome Kentucky, Richmond, and George Mason. The No. 1-ranked team in Division III, Cortland State, as well as the No. 1 Canadian squad - Guelph - will also be in attendance. Georgetown - NCAA, No. 8; Mid-Atlantic, No. IRVING, TEXAS (October 15, 2008) After two weeks of competition, Conference USA women's swimming has had a strong start this season. East Carolina and Houston both ended the week with perfect records. Marshall defeated Xavier (Ohio) 162-114 and Rice outscored North Texas at Texas A&M 184-109. In their only competition to date, SMU took first place honors on Oct. 3 at the Mean Green Relays in Keller, Texas. Houston's Sasha Schwendenwein is Conference USA's first Swimmer of the Week for the 2008-09 season after winning each of her eight events over the weekend against Southwestern and North Texas and helping the Cougars to a 2-0 record. All-American and Olympian teammate Anastasia Pozdniakova is the Diver of the Week. Pozdniakova returned from the 2008 Olympics and automatically qualified for the NCAA Zone Diving meet after scoring 307.43 points in the 1-meter competition against North Texas. Schwendenwein helped lead the Cougars to a 2-0 record after winning all eight of her events over the weekend against Southwestern and North Texas. The senior swimmer was a member of the winning 400-yard medley relay team that finished with a time of 4:13.03 against Southwestern. In the same meet, she took the top spot in the 50-yard freestyle clocking a time of 25.45, finished first in the 200-yard backstroke with a time of 2:11.45 and ended the meet with a win in the 200-yard IM in 2:10.90. Against North Texas, Schwendenwein won the 200-yard butterfly with a time of 2:05.43 and the 100-yard freestyle in 51.92. In her final two races of the day, she won the 500-yard freestyle with a time of 5:04.30 while her time of 3:33.14 gave her the top spot in the 400-yard freestyle relay. The weekly award is the third of Schwendenwein's career. Pozdniakova helped the Cougars to a win over North Texas in the first home meet of the 2008-09 season. She won both the 1-meter competition scoring 307.43 points and the 3-meter competition after scoring 281.70 points in the event. Both scores qualified her for the NCAA Zone Diving meet. In the 1-meter competition, Pozdniakova was the only diver to surpass 300 points and helped the Cougars to a sweep in the top three places in each event. Pozdniakova was named the Conference USA Diver of the Meet after winning both the 1-meter and 3-meter championship during the 2007 C-USA Swimming and Diving Championships. She was a red-shirt last season and did not compete for the Cougars as she trained for the Olympics where she earned silver medalist honors. This is the junior's fifth career weekly honor. Duncan helped lead the Pirates to head-to-head victories over Marshall, West Virginia and Xavier (Ohio). The senior swimmer posted first-place finishes in the 100 butterfly and 200 butterfly. Schuurman helped Marshall to a win over Xavier with first-place finishes in both the 1-meter and 3-meter. Schuurman is the school record-holder in both the 1-meter and platform dives. Wo was one of Rice's top performers in the owl's season-opening double-dual meet against nationally-ranked Texas A&M and the University of North Texas. In addition to a second-place finish in the 100-yard butterfly, Wo also posted a career-best time of 2:06.47 to take fourth in the 200-fly. Lategan was a member of four relay teams that placed first. She helped her team in the with the 800-yard freestyle relay by swimming the fastest time of 1:52.05. The freshman swimmer also swam in the 500- yard freestyle relay winning with a time of 4:29.79, almost six seconds faster than the second place finishers. SMU won the North Texas Relays by placing first in eight of ten events. HOUSTON, TEXAS (October 14, 2008) International Grand Prix rider, Heather Blitz, will be the featured rider and a presenter at the upcoming symposium in Houston, Texas on October 25-26, 2008. Together with Mary Wanless, BSc, BHSI, FRSA and Dr. Hillary Clayton, BVMS, PhD, MRCVS, Heather will demonstrate by riding the horses and showing how her exemplary biomechanics can work its magic on them. Her commentary, coupled with Mary's insights, will reveal some of the hidden secrets of the world's best riders. "I am looking very forward to this month's symposium," said Heather. It's exciting to spread the word about horse and rider biomechanics to a group of information hungry riders and owners. Everyone will be able to take something very valuable home with them. Seeing the difference from the start to end of the lessons is so effective to demonstrate the effect of good biomechanics on how the horse is able to perform." Mary has coached Heather for the past fourteen years and Heather is the 'model' in Mary's new book, Ride With Your Mind Clinic. Best known for her partnerships with Arabella and her current international Grand Prix horse Otto, Heather has had the good fortune to be able to combine natural talent with the explicit learning of biomechanical skills. She is one of the first in a new generation of dressage riders. The session will feature some easy-to-understand theories about learning, which makes it clear why we all struggle to do the things we know we ought to be doing. It also shows the way out of the traps that beset so many people as they attempt to become skilled riders.This will be followed with some exercises that demonstrate the most significant biomechanical patterns of riding, bringing them alive in your own body, and showing what is needed to integrate into your own riding. Putting just one or two of the central pieces into the puzzle can make a huge difference and whatever level you ride at you can expect to see your strengths and weaknesses in a new light. Mary and Heather will both be coaching, and Heather will demonstrate how her biomechanics and thought processes can work their magic. There will be plenty of time for questions. Heather Blitz, 39, lives in Esbjerg, Denmark where she has been based since 2006. She trains and teaches Grand Prix dressage horses and her current Grand Prix partner is Otto 129, with whom she has been working for the past four years. Otto is a 12-year-old Danish Warmblood gelding (Rambo x Rampal) bred in the USA and owned by Ove Mortensen, O.R.M. Holding of Denmark. Heather started riding at the age of five on her parents' farm in Kansas where she rode western events. She moved to college at Colorado State University where she graduated with a B.S. in Equine Science and also began focusing on dressage. After college, she relocated to Louisiana in 1993 where she worked as a trainer and instructor, and since 1994 has been competing at Grand Prix level. Competing on the show circuit each winter in South Florida, Heather refined her skills and learned a system of training involving biomechanics. She has since been working with her mentor and coach, Mary Wanless. Heather now regularly gives clinics and symposiums around the world. For Heather's clinic and symposium schedule, visit http://www.heatherblitz.info/Heather_Blitz/Clinics.html. 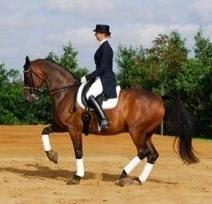 One of her many dressage horses that has influenced her career was her first Grand Prix horse, Rambo, with whom she started competing when he was 12 until she retired him at age 18. Heather and Rambo competed in Florida and also at Dressage at Devon where they finished in third place, which earned them an invitation to the U.S. Equestrian Federation team training sessions that proved to be a turning point in Heather's career. Another significant partnership was with the chestnut mare, Arabella, (Rambo x April) which began when the mare was first broken in and took them all the way through Grand Prix, including being selected as reserve to the U.S. dressage team for the 2006 World Equestrian Games in Aachen, Germany. The partnership won regional championships at age four and five. At six years old, they won the FEI 6-year-old Young Horse Championship and almost qualified for the World Championships in Verden, Germany. At eight years old Arabella competed in the USEF Intermediaire Championships in San Juan Capistrano, California, where they finished in fifth place. HOUSTON, TEXAS (October 13, 2008) Rice University’s men’s basketball team will make at least four national or regional television appearances during the 2008-09 season. Conference USA announced its television package for the year on Thursday. Rice will make its first televised appearance of the year on Nov. 30 when the Owls travel to Texas. Tip-off is set for 2 p.m. and the game will be broadcast by Fox Sports Net-Southwest in Texas. The Owls’ game at Memphis on Jan. 21 will be broadcast by Comcast/Charter Sports Southeast (CSS). Rice will play host to a pair of Conference USA games which will be broadcast nationally on CBS College Sports. The Owls’ game against SMU on Jan. 14 and the squad’s game against Tulane on Jan. 28 will both be televised by CBS College Sports. Coverage of Conference USA basketball is also available online through the C-USA Network, available exclusively on the league’s official website, www.ConferenceUSA.com, C-USA All-Access and all 12 member institutions’ team sites. Season tickets for the return of basketball to the Rice campus and Tudor Fieldhouse can be reserved with a $57 deposit per ticket. For more information on season tickets, fans may go to the ticket link at RiceOwls.com or by calling the Rice Owls Ticket Office at (713) 522-6957. The Owls’ season opener is Nov. 15th when Rice plays host to Portland State. INDIANAPOLIS, Indiana (October 12, 2008) USA Gymnastics has awarded the 2009 Visa Championships to Dallas, marking two firsts for the prestigious event: not only is this the event’s first visit to Dallas, but it is also the first time the event has featured all five of USA Gymnastics’ competitive disciplines – men’s and women’s gymnastics, rhythmic gymnastics, trampoline and tumbling, and acrobatic gymnastics. Scheduled for Aug. 12-15, American Airlines Center will play host to men’s and women’s gymnastics, with the Dallas Convention Center holding the rhythmic and acrobatic gymnastics and trampoline and tumbling competition. The USA Gymnastics National Congress and Trade Show, which is held in conjunction with the Visa Championships, will be staged at the Sheraton Dallas Hotel. In addition to 2008 Olympic all-around champion Nastia Liukin of Parker, Texas, other national team members from the Dallas area include junior women’s gymnasts Rebecca Bross of Plano and Briley Casanova of Dallas, and senior men’s gymnast Steven Legendre of Flower Mound. Between men’s and women’s gymnastics and trampoline and tumbling, 17 junior and senior national team members hail from or train in the state of Texas: men – Houston’s Raj Bhavsar, Sean Golden, Jonathan Horton and Sean Townsend, and Kingwood’s Dylan Akers, as well as Legendre; women – Chelsea Davis of Lakeway and Alaina Johnson of Tyler, along with Bross, Casanova and Liukin; and trampoline and tumbling – Amanda Bailey of Lubbock, Dakota Earnest of Plains, Sarah Gandy of Paris, Amy McDonald of Richardson, Savannah Vinsant of Newton and Alaina Williams of Amarillo. The Visa Championships determines the U.S. champions and the national team for each discipline for both the junior and senior elite levels. NBC Sports will broadcast action from men’s and women’s gymnastics. Tickets are expected to go on sale later this year. "For 15 years, Visa has been proud to support American gymnastics, and the Visa Championships are a cornerstone of our ongoing commitment to America's Olympic athletes," said Michael Lynch, head of global sponsorship management, Visa Inc. "Following the success of the U.S. gymnastics team in Beijing, we're expecting an exciting event for the athletes and their growing number of fans." Both men’s and women’s gymnastics will have two days of competition at American Airlines Center, which has hosted the post-Olympic tour for gymnastics. Anchoring the 72-acre Victory Park development, American Airlines Center serves as the backdrop to Dallas' most vibrant urban gathering space. In addition to being home to the Dallas Stars and Dallas Mavericks, American Airlines Center has played host to several prominent events including the 2007 NHL All-Star Game, NBA Finals, Big 12 Championships and the 2003 USFSA National Figure Skating Championships. The Dallas Convention Center, which has more than 1,000,000 sq. ft., is the site for rhythmic and acrobatic gymnastics, trampoline and tumbling. The Dallas Convention Center offers a staggering 726,726 square feet of prime, contiguous exhibit space along with a 203,000-square-foot column-free exhibit hall, the largest in the U.S. Plus, the Dallas Convention Center offers even more great features, such as a 9,816-seat arena, a theater with a 1,750-person capacity and 96 meeting rooms. The USA Gymnastics National Congress and Trade Show is the annual gathering of professional members that offers educational and business sessions, a large exhibitor’s hall and other business and educational opportunities. HOUSTON, TEXAS (October 11, 2008) The University of Houston swimming and diving team won two dual meets this weekend to open the 2008-09 season. Houston opened the weekend with a 132-88 win over Southwestern and capped it off with a 174-126 win over North Texas on Saturday at the Campus Recreation and Wellness Center. The Cougars were led by divers Anastasia Pozdniakova and Lacey Truelove. Pozdniakova finished with an NCAA “A” qualifying mark in both the 1-meter and 3-meter diving events and Truelove notched a “B” qualifying mark in the 1-meter event. Junior Jessica Shamburger also recorded the schools 10th fastest time in the 100-yard backstroke with her winning time of 57.57 on Saturday. In the first event of the afternoon against the Mean Green, Houston finished first and fourth in the 200-yard medley relay. The Cougar “A” team of Jessica Shamburger, Beccy Hillis, Andrea Kells and Paige Bissett finished first with a time of 1:48.68. The “B” team of Rachel Johnson, Natalie Newcomb, Doreen Polotzek and Brittany Copeland finished fourth with a time of 1:55.46. Co-captain Andrea Pa’lmai won her first event of the afternoon with a time of 10:22.03 in the 1,000-yard freestyle. She was followed by Olga Bordatcheva (11:01.17), Rachel Holcomb (11:49.32) and Markee Johnson (12:18.40) who finished fifth, sixth and seventh, respectively. Pa’lmai also went on the win the 200-yard backstroke with a time of 2:06.35 and the 400-yard IM with a time of 4:34.76. Bissett and Rachel Johnson finished sixth (2:15.50) and seventh (2:22.43) respectively in the 200-yard backstroke. Natalie Newcomb was fifth for the Cougars in the 400-yard IM with a time of 4:47.07. In the third event of the afternoon, North Texas edged Kim Eeson for first place in the 200-yard freestyle. Eeson finished second with a time of 1:53.12. Newcomb added a fourth place finish (2:00.60), while Amber Pace was seventh (2:09.01). After earning a first place finish in the 200-yard medley relay, Shamburger won her second event of the day finishing first in the 100-yard backstroke with a time of 57.57. Her winning time is also the 10th fastest time in Cougar record books. Bissett added a fourth place finish (1:00.73), while Amber Brodeur (1:06.08) was seventh and Rachel Johnson was eighth (1:06.52). The Cougars followed up the win in the 200-yard medley with win in the 100-yard breaststroke. Hillis won her second event of the day with a time of 1:05.76. Polotzek notched a third place finish (1:09.99), Kells was fifth (1:12.59) and Borbala Juhasz was sixth (1:19.87). Polotzek’s finish set a new career best for the Essen, Germany native. Hillis won her third event of the day with a 2:20.87 finish in the 200-yard breaststroke. Bordatcheva, Newcomb and Juhasz also finished third (2:29.24), fourth (2:29.57) and seventh (2:57.27) for the Cougars in the event. Co-captain Sasha Schwendenwein won the 200-yard butterfly with a time of 2:05.43 and Danica Lubbers was fifth with a time of 2:19.02. Schwendenwein won her second event of the afternoon with a time of 51.92 in the 100-yard freestyle. Copeland, Pace and Stone rounded out the Cougar participants. The trio finish sixth (56.65), seventh (57.63) and eighth (59.55), respectively. Schwendenwein would also win the 500-yard freestyle with a time of 5:04.30 and Eeson was second with a time of 5:07.49. Rachel Johnson was seventh (5:48.69) and Markee Johnson was eighth (5:54.58). Eeson notched her second second-place finish of the afternoon with a 25.07 time in the 50-yard freestyle. Teammates Copeland (25.52), Shamburger (25.70) and Anne Stone (26.70) finished fifth, sixth and eighth, respectively. Four Cougars swam in the 100-yard butterfly for Houston. Leading the way was Kells with a second place finish of 58:84 and Polotzek finished third (1:00.00). Bissett and Lubbers rounded out the group finishing fifth (1:00.93) and eighth (1:03.23), respectively. Houston ended the afternoon with a win in the 400-yard freestyle relay. Eeson, Shamburger, Copeland and Schwendenwein combined to finish 3:3.14 in the event. Houston’s “B” relay team of Polotzek, Pace, Pa’lmai and Bordatcheva finished fifth with a time of 3:43.56. In the diving events, in her first collegiate meet since 2006 after taking a redshirt season to prepare for the 2008 Beijng Olympics, junior Anastasia Pozdniakova won the 1-meter diving competition with 307.43 points. She was followed in second by Lacey Truelove with 260.70 points and Courtney Forcucci in third with 253.35 points. Jessalyn Almond finished fourth with 232.42 points. With their points total in the 1-meter event, Pozdniakova recorded an NCAA “A” finish, while Truelove notched an NCAA “B” finish. In the 3-meter event, Pozdniakova again took first with 281.70 points and another NCAA “A” finish. Truelove (265.58 pts. ), Almond (261.90 pts.) and Forcucci (254.85 pts.) rounded out the top four. On Friday night, Houston traveled to Georgetown, Texas for a dual meet against Southwestern. UH won the meet with a score of 132-88. In the 400-yard medley relay, the Cougars “A” relay finished first with a time of 4:13.03. The “A” relay team consisted of Bissett, Schwenedwein, Lubbers and Copeland. The “B” team of Rachel Johnson, Juhasz, Pa’lmai and Pace finished third with a time of 4:28:18. Eeson continue the trend of Cougar swimmers finishing first in the 200-yard butterfly, coming in with a time of 2:14.31. Schwendenwein captured her first individual win of the meet in the 50-yard freestyle with a time of 25:45 and Pa’lmai finished first with a time of 56:66 in the 100-yard freestyle to take first as well. Schwendenwein captured her third win of the day with a 2:11.45 finish in the 200-yard backstroke and Pa’lmai was once again first in the 200-yard breaststroke with a time of 2:29.23. Bordatcheva captured her second win in the mixed 500-yard freestyle with a time of 5:15.86 and Kells notched her second win of the day in the 50-yard butterfly with a time of 27.33. Houston closed out the meet with two more wins, including a Schwendenwein win in the 200-yard IM (2:10.90) and a top finish in the 400-yard freestyle relay. Bordatcheva, Shamburger, Copeland and Bissett combined to finish with a time of 3:49.88. HOUSTON, TEXAS (October 11, 2008) – The Houston Dynamo will use their next three home matches to help the Houston area recover from Hurricane Ike with Dynamo Hurricane Relief Week, which kicked off at a press conference Thursday. To benefit recovery efforts, the Dynamo will honor local emergency workers, collect monetary donations and soccer equipment for local clubs, and conduct several Dynamo Charities fundraisers during their games October 12, October 15, and October 18. All proceeds will be distributed to Houston- and Galveston-area soccer clubs by the South Texas Youth Soccer Association on behalf of Dynamo Charities. Before each game, the Dynamo Drive Series, presented by Infinity Insurance, will collect soccer equipment in conjunction with the U.S. Soccer Foundation Passback Program, the South Texas Youth Soccer Association, and MLS Works to benefit local teams affected by Hurricane Ike. The Dynamo will also set up donation centers for each game. Donations may also be made online at HoustonDynamo.com via Dynamo Charities. For the Sunday, October 12 game against D.C. United, presented by The Methodist Hospital System, the Dynamo will invite local first responders to participate in an on-field ceremony. At halftime, the Dynamo will honor Methodist Hospital employees who worked 48 consecutive hours surrounding the hurricane and three civilian heroes nominated by fans in an online contest. The Methodist Hospital System will hold a blood drive from 2:00-6:00 p.m. at nearby Hofheinz Pavilion. The Dynamo will wear white jerseys for the game, just the second time in team history they have worn white jerseys for a home game, and the autographed jerseys of the 11 starters will be auctioned off to fans. All Dynamo proceeds from the auction and from on-site parking will benefit youth soccer teams. On Wednesday, October 15, when the Dynamo host the San Jose Earthquakes in a game postponed from September 20 by Hurricane Ike, the Dynamo will offer free tickets to children aged 14 and under and $10 tickets to adults for the 8:00 p.m. match, presented by Bud Light. A portion of the ticket proceeds will go toward helping local soccer clubs affected by the hurricane. When the Dynamo host the Los Angeles Galaxy at 7:30 p.m. on Saturday, October 18, presented by Amigo Energy, the Dynamo will hold an on-field presentation to announce their contribution to hurricane relief efforts. Currently in first place in the MLS Western Conference, the Dynamo (11-5-10, 43 points) have won seven consecutive home games in all competitions and are 10-1-5 in their last 16 games. The team will begin play in the MLS Cup playoffs in November. For more information, please log on to www.HoustonDynamo.com or call (713) 276-7500. MIDLAND, TEXAS (October 11, 2008) The Rice women’s tennis team embarked on the fall season and notched a quartet of first round singles victories Friday at the Midland Invitational. Julie Chao stormed into the Round of 16, dropping only seven games in a pair of straight set victories over Abilene Christian’s Irene Squillaci and Texas Tech’s Simone Templeton. She takes on No. 6 seed Alex Liles of Pepperdine in the Round of 16. Rebecca Lin took down Rachel Wilheim of North Texas 6-4, 6-1 before dropping a hard-fought 6-4, 7-5 decision to Texas Tech’s Kelsy Garland. Emily Braid emerged with a gritty 7-6, 1-6, 1-0 (4) triumph over Nikola Matovivoa of UTA but fell 6-1, 6-2 to No. 1 seed Elzé Potgieter of Texas A&M in the second round. Ana Guzman won her collegiate debut turning in an impressive 6-2, 6-3 win against Shannon MacKenzie of North Texas. Her upset bid of No. 5 seed Madeleine Geibert of Nebraska was spoiled in the super tiebreaker 2-6, 6-2, 1-0 (5). Varsha Shiva-Shankar and Alex Rasch also picked up consolation wins for the Owls. Action from Midland continues today. ANDREWS, TEXAS (October 10, 2008) The TCU men's and women's swimming and diving team swept UTPB Thursday at Andrews ISD Natatorium. The men won by a score of 142-87 for their first win of the season, while the women move to 2-0 after topping the Falcons, 145-73. "I felt like our day went well and we competed hard," said TCU swimming and diving head coach Richard Sybesma. Sophomore Jeff Gettel highlighted play for the Frogs, contributing to three wins for TCU. The Plano, Texas native topped the field in the 200-free at 1:48.35, while also earning the victory in the 100-back with a clocking of 53.01.
and Jack Doran all picked up their first collegiate win. Sophomore Maria Paula Alvarez won her third event of the season, taking the 100-free in 55.28, while Macy Zander and Crystal Shipps won the 50-free and 200-IM, respectively. personal-best time of 48.79. Josh Bagby earned the 100-fly event (53.44), while Mike Majek finished ahead of the pack in the 1000-free (10:09.22). TCU's 200-medley relay squad of Gettel, Edgar Peyro, Hauck and Bagby took the top spot with 1:36.83. From the air, R.J. Hesselberg topped teammate Kyle Callens in both the one- (283.65) and three-meter (330.15) diving events. Destiny Glampe won the women’s one-meter diving (168.66) and Jen Ferguson earned the three-meter victory (224.95). The next action for the Frogs will take place on Oct. 30 when the squad will Mountain West Conference for, BYU, at the University Recreation Center. HOUSTON, TEXAS (October 9, 2008) The Rice Owls volleyball team (11-4, 2-2) is on the road this weekend for two Conference USA matches. Rice plays at Marshall (8-7, 1-4) on Friday at 6 p.m. (Central) and at East Carolina (11-9, 1-4) on Sunday at 11a.m. (Central). Rice last weekend defeated SMU 3-0 and lost a five-set thriller to Tulsa. This past Tuesday, the Owls whipped McNeese State 3-0. Rice head coach Genny Volpe sports a school and overall coaching mark of 78-57 (5 years). She led the Owls to their first-ever NCAA appearance in 2004. Rice setter Meredith Schamun ranks sixth in the nation in assists per set in this week's NCAA rankings. The sophomore from Murrieta, Calif., averages a C-USA-best 11.71 assists per set. Sophomore libéro Tracey Lam ranks 13th in the nation in digs per set, accounting for a C-USA-best 5.18 per outing. She has reached double-digits in digs in 24 straight matches. As a team, Rice ranks third in the NCAA in assists (13.69), sixth in digs (17.53), seventh in kills (14.49) and 41st in hitting efficiency (.249). Four Rice Owls have accumulated 100 or more kills. Senior Karyn Morgan leads at 174, while Jessica Holderness follows at 151 and Natalie Bogan is at 145. Freshman Ashleigh McCord has pounded 127 kills. Natalie Bogan leads Rice with a .348 attack percentage (145-33-322) and sophomore Caroline Gill is at .343 (71-11-175). Rice is 0-3 vs. Marshall in the series and is 1-3 all-time vs. East Carolina. The Owls host Southern Miss on Friday (Oct. 17) at 7 p.m. and UCF on Saturday (Oct. 18) at 7 p.m.
DALLAS, TEXAS (October 8, 2008) SMU will honor the legendary Don Meredith byretiring hisjersey on Oct. 18 during the SMU-Houston football game. Meredith, who wore number 17 during his playing years at SMU (1957-59), was selectedto be honored by the SMU Hall of Fame Committee, which is comprisedprimarily of Lettermen's Club members. Born April 10, 1938, in Mount Vernon, Texas, Meredith was a two-timeAll-America selection (1958 & 1959) on the Hilltop, setting a Southwest Conference record with 69.6 completion percentage in 1957. The ChicagoBears then selected Meredith in the third round of the 1960 NFL Draft,but traded him to a young Dallas Cowboys franchise for future draftpicks. Throughout his nine-year career with the Cowboys, "Dandy" Don was one ofthe Cowboys' most recognizable stars, leading his team to three straight division championships and trips to consecutive NFL Championship games following the 1966 and 1967 seasons. During the 1966 season, Meredith was named the NFL Player of the Year, throwing a career-high 24 touchdown passes that season. He was also named to the Pro Bowl that year, his first of two career Pro Bowlselections. In 1976, Meredith was inducted into the Cowboys' "Ring Of Honor". Following his playing days, Meredith had a successful TV career as an analyst on ABC's "Monday Night Football". Meredith joined MNF in 1970. After three seasons, he left to work at NBC, but soon returned to MNF alongside partners Frank Gifford andHoward Cosell. He was known for singing "Turn out the lights, theparty's over" when the game appeared to be decided. Meredith retired from the booth following the 1984 season. His final broadcast was Super Bowl XIX. Meredith was selected as the 2007 recipient of the Pro Football Hall of Fame's Pete Rozelle Radio-Television Award, receiving the award on August 3, 2007. Meredith also had an acting career, appearing in multiple movies and television shows, including a starring role on "Police Story," as wellas a series of commercials in the 1980s. Currently, he resides in Santa Fe, N.M., with his wife, Susan. Meredith is the sixth SMU football standout and ninth SMU athlete or administrator overall to have his or her jersey retired. Previoushonorees have been Raymond Berry (football), Cash Birdwell (trainer),Eric Dickerson (football), Forrest Gregg (football), Lamar Hunt(football), Karlin Kennedy (women's basketball), Jon Koncak (men's basketball), Jim Krebs (men's basketball) and Doak Walker (football). BIRMINGHAM, ALABAAM (October 7, 2008) The Southwestern Athletic Conference announced its 2008-09 basketball television schedule today, highlighted by a matchup of last season’s men’s regular season and tournament champions, and ending with both the men’s and women’s tournament finals shown live during ESPN’s Championship Week. A total of 14 games will be televised live either on ESPN2 or ESPNU. Defending men’s regular season champion Alabama State will kickoff the TV schedule on Monday, Jan. 5 against Grambling State in the nightcap of a men’s and women’s doubleheader on ESPNU. Prairie View A&M’s Lady Panthers, the defending women’s regular season champion, will play at Arkansas-Pine Bluff as part of a Monday, Jan. 26 doubleheader on ESPNU. This year’s television schedule also features a Saturday afternoon game on ESPN2 between defending men’s tournament champion Mississippi Valley State playing at Jackson State on Jan. 31. On Mon. Feb. 9, Mississippi Valley State will play at Alabama State in battle of last season’s champions. The men’s and women’s finals of the 2009 SWAC Tournament will be shown live on ESPNU on March 14. TULSA, OKLAHOME (October 6, 2008) Three Frogs hit the court in singles play Tuesday, as qualifying-draw competition started up at the D’Novo All-American Men’s Tennis Championships at Tulsa’s Michael D. Case Tennis Center. Senior Kriegler Brink moved on to the second round, while sophomores Emanu Brighiu and Zach Nichols each dropped out of the singles portion of the tournament. Brink, the nation’s 93rd-ranked singles player participating in his first singles match since Sept. 26, survived a tight first set in a tiebreaker against Miami’s David Rosenfeld on his way to posting a two-set victory, 7-6(7-1), 6-1, during the opening round. A native of South Africa, Brink next faces the winner of Monday’s first-round match between 25th-seeded Nicolas Delgado (Virginia Tech) and Mateusz Kecki (USC) on Tuesday. Nichols put up a major fight during a three-set loss to Texas Tech’s Raony Carvalho, who was seeded third in the qualifying draw. Following a tiebreaker win by Nichols in the first set, 7-6 (3-6), Carvalho rallied to sweep the remaining two sets, 6-2, 6-2. Brighiu also was unable to earn an upset over another seeded foe, Tennessee’s Boris Conkic (No. 3 seed). After dropping a 6-3 decision in the opening set, Brighiu pushed Conkic to the limit before falling in the tiebreaker, 7-6 (7-4). Brighiu and Nichols each advanced into the qualifying bracket as one of 16 surviving seeds during last weekend’s pre-qualifying draw. Despite bowing out of the singles competition Monday, both Frogs will continue play Tuesday with the opening round of doubles play. Nichols will pair up with Brink as the draw’s No. 9 seed, while Brighiu will team with junior Adrian Simon, who was eliminated in singles play over the weekend. DALLAS, TEXAS (October 5, 2008) Greg Dillon threw for four touchdowns as Grambling State beat Prairie View A&M 40-16 on Saturday night in the State Fair Classic. Dillon went 15-of-20 passing for 155 yards and was also the Tigers' leading rusher with 61 yards. Larry Donnell caught two passes, both of them touchdowns for Grambling (4-2, 1-0 SWAC). The Tigers displayed a balanced offense, rushing for 145 yards and throwing for 158. The Tigers held Prairie View to 80 yards rushing. Mark Spivey went 14-of-27 passing for 144 yards and one touchdown to lead the Panthers (4-1, 1-1). He ran for another score. Spivey tossed three interceptions. Donald Babers ran for 65 yards on 23 carries for Prairie View. TULSA, OKLAHOMA (October 4, 2008) TCU opened competition at the D’Novo ITA All-American Tennis Championships Saturday during second- and third-round action of the men’s pre-qualifying draw. Two of three Horned Frogs competing advanced on to Sunday’s fourth round after each received first-round byes during Friday’s opening session. “I was pleased with the results our guys put up today,” head coach Dave Borelli said. “We have played more matches than we had at this time last week (TCU’s season opener), and it really showed. Sophomores Emanu Brighiu and Zach Nichols posted a pair of victories each Saturday, including respective three-set wins in the third round. Brighiu, the draw’s No. 12 seed, quickly defeated UC Santa Barbara’s Max Taylor, 6-2, 6-2, in the second round before surviving a first-set loss to NC State’s David Chermak in the third round, 3-6, 6-1, 6-4. Nichols, the draw’s No. 19 seed who reached the consolation final of the “A” draw of last week’s Baylor Invitational, dispatched his second-round opponent, UT-Arlington’s Brieuc Hammon, by a score of 6-3, 6-4. He later earned a three-set win over Central Florida’s Brock Staley, 7-6(6), 3-6, 6-2, to move on to Sunday’s fourth round. Junior Adrian Simon, TCU’s top-seeded player in the pre-qualifying bracket at No. 4, survived a three-set battle with Alex Konigsfeldt (UC Santa Barbara) in his opening match, 6-3, 6-7(7), 6-2, but was unable to hold off New Mexico’s Miles Bugby in the third round, 6-4, 6-7, 2-6. Competition in the pre-qualifying singles draw at the D’Novo ITA All-American Championships continues Sunday. Brighiu and Nichols each need to post only one more victory to move on to the Monday’s qualifying draw. FRISCO, TEXAS (October 3, 2008) The new Southland Conference Television Network makes its live broadcast debut Saturday at 5 p.m. with the non-conference college football game between Texas Southern and Texas State in San Marcos, Texas. The homestanding Bobcats enter the game with a 2-2 record, while Texas Southern is 3-2 this season after winning its last three games. In addition to numerous Southland network affiliates in the Southwest and South Central U.S., the football schedule will also be available nationally on Fox College Sports. Additionally, this week’s broadcast will also be seen on DirecTV, Channel 617. The game will also be available on SLC NOW, the Southland's subscription-based on-line video and audio streaming channel. Pricing for the SLC NOW webcast is $5.95 per game, $39.95 for a season pass, or $59.95 for an annual pass, which entitles the subscriber to every live event broadcast by the league. As one of the nation’s newest and innovative broadcast opportunities, the Southland Conference Television Network will televise 35 events during the 2008-09 academic year. A total of eight football games, 16 basketball contests along with the championship games of the Southland volleyball and baseball tournaments will be featured on the network that will serve numerous television stations and cable systems in Texas, Louisiana and Arkansas. In addition, the network package includes “Inside the Southland Conference,” a nine-episode monthly magazine show that highlights each of the league’s 12 campuses and their surrounding communities. The Southland Network presently has the following affiliates: KWCE in Alexandria, La. ; WBTR in Baton Rouge, La. ; KFDM/Time Warner Cable in Beaumont, Texas; KTBU in Houston; KVHP in Lake Charles, La. ; KKYK in Little Rock, Ark. ; WVUE 8.2 in New Orleans; Texas State Cable Ch. 17 in San Marcos, TX; KPXJ in Shreveport, La. ; MYTX in Tyler, Texas; and select Time Warner Cable systems in Texas (including Austin and Waco). Numerous network broadcasts are also available nationally (including in the Dallas, San Antonio and Corpus Christi areas) on Fox College Sports. Following the game and throughout Texas, the broadcast will be available on Time Warner Cable’s Video-On-Demand service. Broadcast veteran Doug Anderson will handle play-by-play duties and LaDarrin McClane will be the color analyst. Dave Knobler, the host of “Inside the Southland Conference,” also serves as the sideline reporter during live game telecasts. Originally, the network was scheduled to debut Sept. 13 for the Grambling State at Northwestern State contest, but safety concerns related to Hurricane Ike’s landfall forced the game to be postponed and the telecast to be cancelled. FORT WORTH, TEXAS (October 2, 2008) The TCU men’s tennis team takes to the road for the second straight week to open its fall season when it travels to Tulsa, Okla., for the D’Novo All-American Tennis Championships, which begin Friday at Tulsa’s Michael D. Case Tennis Center. The tournament, set to run Oct. 3-9, marks the first Intercollegiate Tennis Association (ITA) singles and doubles championship events of the collegiate season. A large field will attract many of the nation’s top players to Tulsa, and the event will feature more than 400 singles players and 80 doubles teams. Competition will be split into three separate draws—prequalifying, qualifying and a main draw. The prequalifying draw leads into the qualifying draw, which leads into the main draw. Competition begins Friday with a field of 256 players in the prequalifying bracket. Sixteen athletes will advance to the 128-man qualifying draw, which runs Oct. 6-8, while the top 16 competitors in the qualifying section will then advance to compete in the 64-man main draw Oct. 9-12. Doubles action follows the same format, although there is no prequalifying draw. The opening qualifying bracket (doubles begins Oct. 7) will feed eight of 64 competing doubles pairs into the 16-team main section. Those singles and doubles entries participating in the qualifying and main draws who drop their first-round matches will be eligible for the consolation round. Forty of the ITA’s top-41 singles players will be featured in the main draw, as well as each of the top-18 rated doubles pairs. 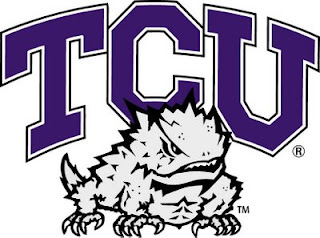 TCU has four student-athletes who were selected for competition in Tulsa. Junior Emanu Brighiu and sophomores Zach Nichols and Adrian Simon will compete in the prequalifying singles section, while senior Kriegler Brink, rated No. 93 in the ITA singles rankings, has been selected for qualifying draw singles. The four Frogs will also pair up for the doubles in the qualifying bracket: Brink and Nichols will comprise one duo, with Brighiu and Simon will also team up. Brink and Nichols form TCU’s top-ranked doubles group, having earned a No. 40 rating in the ITA preseason rankings. Live stats and video from the D’Novo All-American Tennis Championships will be provided on Tulsa’s official athletic web site, tulsahurricane.com. HOUSTON, TEXAS (October 2, 2008) The University of Houston swimming and diving team opened the 2008-09 season Wednesday afternoon with the annual Red & White Meet at the Campus Recreation and Wellness Center. The White Team, captained by senior Sasha Schwendenwein, defeated the Red Team captained by senior Andrea Pa'lmai, 168-103. "(This meet) was a really good opportunity for the girls to test themselves against each other before going into competition," head coach Mark Taylor said. "We could see the last few minutes of each on of their races and check the last few seconds going in and out of walls. We could see how the did on their starts and turns and things that we can refine and fine tune." The White Team started the afternoon off with a win in the 250-yard medley relay. The team of junior Jessica Shamburger, freshman Natalie Newcomb, senior Sasha Schwendenwein and freshman Kimberley Eeson combined to finish with a time of 1:42.40. The Red Team of freshman Paige Bissett, freshman Beccy Hillis, senior Doreen Polotzek and sophomore Brittany Copeland finished second with a time of 1:48.10. After taking first in the 250-yard medley relay, Eeson followed that up with an 8:23.91 win in the 800-yard freestyle relay. She was followed in second by Olga Bordatcheva (8:38.51; Red). Freshmen Natalie Newcomb (8:51.91; White), Anne Stone (9:52.10; Red) and Borbala Juhasz (10:13.38; White) rounded out the event. Schwendenwein finished first in the 125-yard freestyle with a time of 1:10.07 and Copeland finished second (1:14.91). Freshman Amber Pace was third for the White Team (1:16.34) and freshman Rachel Holcomb and sophomore Markee Johnson finished fourth and fifth for the Red Team with a time of 1:17.18 and 1:18.61, respectively. Hillis won her first event with a 1:03.03 finish in the 100-yard IM. Bissett (1:04.30), Newcomb (1:05.46) and Polotzek (1:05.88) rounded out the top four, while freshman Danica Lubbers (1:05.98), freshman Rachel Johnson (1:06.88) and sophomore Amber Brodeur (1:11.08) finished fifth, sixth and seventh, respectively. Taking first in the 25-yard freestyle was Shamburger. She finished with a time of 11.81 defeating sophomore Andrea Kells, who finished second with a time of 12.45. Copeland finished third in her third event of the after noon with a time of 12.46. Polotek, Pace and senior Andrea Pa'lmai closed out the event with times of 12.73, 12.95 and 13.07. The White Team took its second relay title of the afternoon. Lubbers, Kells, Newcomb and Eeson combined to finish with a time of 4:55.56. The red team of Hillis, Holcomb, Bordatcheva and Stone finished second with a time of 5:00.19. The White Team had a second relay team that finished third with a time of 5:21.81. Members of the relay included Brodeur, Pace, Juhasz and Rachel Johnson. In the 75-yard butterfly event, the White team finished first and second. Schwendenwein captured first with a time of 42.89, while Kells took second with a time of 43.18. Polotzek finished third with a time of 45.82 and Copeland was fourth (48.78). Eeson posted a time of 39.69 in the 75-yard freestyle, capturing her fourth win of the meet. Shamburger finished close behind with a time of 39.72. Bordatcheva, with a time of 42.32, finished third. Markee Johnson (43.53), Stone (44.42), and Juhasz (49.91) finished in fourth, fifth and sixth respectively. Schwendenwein captured her third win, after posting a time of 44.11 in the 75-yard backstroke. She was followed by second-place finisher Shamburger (44.12), while Bissett took third with a time of 45.85. Rachel Johnson placed fourth with a time of 48.53. Pa'lmai took fifth (51.85) and Markee Johnson took sixth (52.39). Holcomb finished in the seventh spot with a time of 55.25. Eeson won her fifth event, clocking a time of 3:33.18 in the 350-yard freestyle. Hillis followed in second with a time of 3:36.59, while Lubbers took the third spot, posting a time of 3:52.13. Holcomb (3:57.76) was fourth position and Pace (4:10.02) finished fifth. Hillis won her second event of the meet after posting a time of 48.92 in the 75-yard breaststroke. Bordatcheva finished second with a time of 52.90 and Kells clocked a time of 53.11, finishing third on the event. Newcomb (53.24), Juhasz (57.06) and Stone (1:02.66) placed fourth, fifth and sixth respectively. In the 300-yard IM, Bissett (3:33.64) finished first, Lubbers (3:36.09) finished second and Rachel Johnson (3:51.48) placed third. The final event, the 300-yard freestyle relay, the White Team of Shamburger, Lubbers, Kells and Schwendenwein finished first, posting a time of 2:46.34. The Red Team of Polotzek, Holcomb, Markee Johnson and Bissett finished second with a time of 2:50.40. The Red B Team finished third (3:00.90) and the White B Team finished fourth (3:.04.30). In the 1-meter diving event, sophomore Lacey Truelove finished first for the White Team. Sophomore Courtney Forcucci placed second, while freshman Jessalyn Almond took third. Junior Anastasia Pozdniakova finished first in 3-meter diving for the White Team. Forcucci took second, while Truelove captured third and Almond finished fourth. "Some people really stepped up today and raced well today against their friends. The competition was fierce against each other and you could see it was a really good competition," Taylor said. "The girls did a good job and we are excited and looking forward to this weekend." Houston will travel to Keller, Texas for the Second Annual North Texas Relays on Oct. 3. The meet is scheduled to begin at 6pm. The Cougars will also compete in a dual against Southwester on Oct. 10 before returning to Houston for a dual against North Texas on Oct. 11. HOUSTON, TEXAS (October 1, 2008) The University of Houston swimming and diving team will open the 2008-09 season Wednesday with the annual Red and White Meet at 3pm. The intrasquad meet is the annual opening to the season and will take place at the Campus Recreation and Wellness Center Natatorium. The meet is free and open to the public. Senior Andrea Pa'lmai will captain the Red Team. She will compete with senior Doreen Polotzek, sophomores Markee Johnson, Brittany Copeland, Paige Bissett and Courtney Forcucci. Freshmen Beccy Hillis, Olga Bordatcheva, Anne Stone, Rachel Holcomb, Jessalyn Almond and Rachel Erickson will complete the team. On the White Team, guided by senior Sasha Swendenwein, will be juniors Anastasia Pozdniakova and Jessica Shamburger, sophomores Andrea Kells, Amber Brodeur and Lacey Truelove and freshmen Kimberlee Eeson, Natalie Newcomb, Borbala Juhasz, Amber Pace, Danica Lubbers and Rachel Johnson. The meet will consist of 15 events and each swimmer will compete in three individual events and two relays while the divers will compete in two individual events and one relay. A complete recap of the meet will be available at www.UHCougars.com following the day's events.